This might be a sensitive subject, but I have to ask. If another innkeeper were staying with you, would you offer them a special rate? If I knew ahead of time, I most certainly would. Or, if circumstances allowed, (for example I might stay at their place sometime) I would offer a stay for free (exchange). I would never expect that they would pay full price. We stayed at a B&B a couple of months ago, the innkeeper charged full price. I was slightly taken aback by this. It's not something that you necessarily have to have, but don't you think it would have been a nice gesture? I took an 'orphaned' weekend night that very well might have gone unoccupied otherwise. I've got innkeepers staying tomorrow night. They called to make a reservation and I gave them a nice discount. They were so pleased and pleasantly surprised. Said that they had been working non-stop for several weeks now and just got a 'fluke' of a Saturday with no reservations, so they blocked it out and are getting out of Dodge! We offer a clergy discount, too. I know first hand that both clergy and innkeepers are groups that really need to take R&R, but seldom do because of 1. they don't have the time; and 2, they don't have the funds. So, I figure I can help with one of those factors. We noticed a night with no reservations and blocked it off too. But we aren't leaving town, we will be staying in our honeymoon room. Why not, eh? hmmmm ... i only had one innkeeper couple stay that i'm aware of and they dropped that in conversation during their stay. i didn't give them a discount and it didn't occur to me to do so. maybe that was bad form. i think more in terms of innkeepers i know through this forum and other places ... that feels different ... more like comrades or friends ... and i would certainly discount for them and would hope they would for me, but i wouldn't have asked. I have had three innkeepers (that I know of) visit from other states. Honestly, I never thought to offer a discount, because I would not ask for one. If they had asked, I would have given 10%. If they are coming from another small inn (like I am), then then know it's tough to discount rooms. Select Registry innkeepers are supposed to receive a 50% off discount at fellow SR properties - we used that frequently (trying to go during less busy times at the properties), and a few whom we knew gave us free rooms. We gave that level of discount to innkeepers that we didn't know even if they weren't SR, and gave free or highly discounted rooms to many innmates (forum or not). We did have to know they were innkeepers - didn't know about one until they showed up, so I gave the discount then. We did have an early-on bad experience with a fellow innkeeper - was a PITA guest, added nights at last minute, and I discounted for two rooms for him. He wrote a snarky (but 4 star review) and I questioned my professional discount policy for awhile. But he turned out to be the only real problem child in our 11 1/2 years, and I loved hosting innmates from the forum and not. Okay- that would get my hackles up. Either you get 5 star glowing from us or we don't review. Got my hackles up, too. Especially since he made some comments that just weren't true. I occasionally still think about revenge. Reminds me of the husband of a employee from an inn we do a GC swap with. I made the mistake of saying, "a review" when he asked what he could do for us. He failed us in one of the categories and said that he felt he needed to make it, "real" He had NO idea. Since that time, we have emphatically stated to those that we swap with that it is for use by only the employee and that they must be present. One of those thorns that is hard to remove. Thank goodness there aren't too many of them. I'm not SR, and neither was this inn. That's a nice policy, tho. I knew you weren't. We didn't really have anything to go by, so when we joined SR and found out that was the standard, we extended it to other innkeepers as our professional discount. Did you forget the one who had the naked children running around the front yard review? That was a different innkeeper I think. From a state who will remain unnamed. Yes - if I know they are innkeepers, I usually give a 50% discount; If I am reasonably sure that I would travel in their direction, I would offer a swap... Come visit us in south central PA! You are ALWAYS welcoming. Can't wait to see you again soon. I paid my taxes yesterday - for the entire year both real estate and personal property - and it is still less than half what we paid in Illinois in 1995. That said, if giving up a couple nights revenue to fellow innkeepers is going to break me, I have a problem. Do not misunderstand what I am saying - this is for ME, not anyone else. Travel must come to me and I am grateful for any that does. Due to age and condition, His Lordship does not travel which means it is difficult for me to leave - the Road Trip was a wonder and if the opportunity arises again I will move heaven and earth to repeat it. So with any luck, innmates will find their way to I-79 and stop by for a night or two or even just a cuppa. It allows me to repay the kindnesses that have been shown to me and pay forward the ones that are to come in my lifetime. I need a sneaky way to do this without announcing that I'm coming.... that's the Jon Sable way! You might be shocked at what you find. You may find the grouse on the forum are the ones who are hospitality extraordinaire in person. 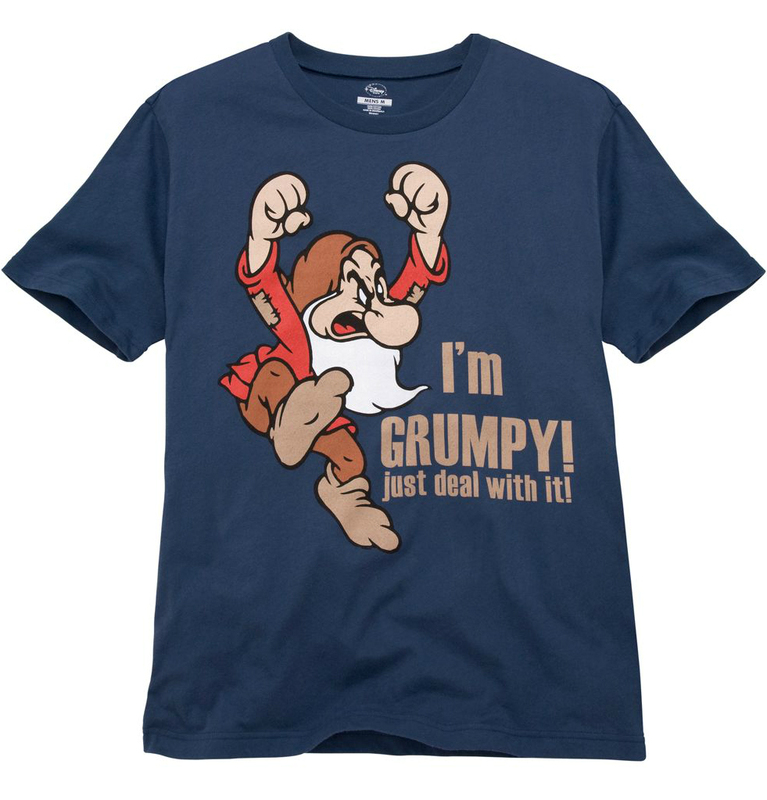 Can I wear my T-Shirt in tribute of my favourite of the seven dwarfs? I'm happy to sign on to your philosophy. I was such a taker in my early years and I've been working hard over the last several years to be a giver and bring my debt in balance. Who knows, maybe even tip the scale the other way someday. Personally I would love to 'swap' with other innkeepers in this forum. I may never actually get to most parts of this country (or others), but if told an innmate was booking, it would be an automatic swap. I've been 'paid' many times over by kindnesses shown by innmates and saved so much grief by others sharing their experiences here. The thing is: I would have to be told the guest is an innmate, I don't really keep track of names, aliases and their assorted houses! My brain capacity is taxed enough with the straightforward! In general, I would not discount just because a guest is an innkeeper I do not know. Even locally, I don't expect a discount from a nearby inn I truly love. I'm grateful they run their inn way they do, keep locals employed, and feature regular local musicians and lecturers in their periodic events. They're wonderful people and it is a pleasure to help support them now and again in a small way. Friends and family know paid guests come first for accommodations. We have a couple of places to stash friends if we're full, so that helps. In the off season, friends/family free. The thing is: I would have to be told the guest is an innmate, I don't really keep track of names, aliases and their assorted houses! My brain capacity is taxed enough with the straightforward! I would still love to do what Jon Sable said and go inncognito at an inn and have fun with it! Went incognito to an inn in another state not because I was being sneaky, but I didn't want to have any discussions about innkeeping when I only had 4 days away from our place. Problem was their gardeners showed up at 7am and woke me up the second morning and the husband told crude jokes during breakfast. I so wanted to write a bad review because I really didn't have an enjoyable stay and paid a LOT. But I didn't because I'm a fellow innkeeper. Had I not been, the review would not have been flattering. You can be the very devil! I'm confident if JB comes to visit us, she'll let us know in advance. If we know that they are innkeeper we usually discount their rate by 10%. I do not do free stay in exchange for stay in their place- hard to keep a track of it. Also I am pretty sure that an innkeeper would not book a room in peak season and not expect to pay full room rate. So, there are many variables to our answers on this. They won't travel in peak season *typically unless it is a reverse season for them. They won't expect to take up a room on a weekend or full house and rob you of income. I would like to take this opportunity to invite you innmates to come stay with us. It is a privilege and an honor to meet you in person. The reason I would always offer a swap is because I know you won't accept something for free and vice versa, and it makes you/me feel better if you offer me a stay, even if i can never make it out your way, but you know what, never say never. I may just yet! It's really tough because where do you draw the line? Family, friends, innkeepers. In the last couple of weeks, I've had 10 room nights filled with both family and friends (4 different couples). Peak season. They all paid, but we also took each of them out to a very nice dinner and picked up the bill. With all the extra things we do (dinners, picnic baskets, fondues & weddings/elopements) with no staff, even making time to spend with family/friends is tough. My typical 14 hour days turn into16 hrs. Don't get me wrong, I'm grateful for the busy times! I guess we are fortunate in that regard. Family and friends we have scattered about the world are less likely to pop in because of our location, so it's no biggie. Better yet, we have a nephew coming during a time we are closed, so we're happy to have them. We have enjoyed some significant savings from doing hospitality exchanges, but that only works with innkeepers that like to travel and make a point of it. A lot of cohorts don't travel and I imagine it's money down the drain to them. WORSE YET, we enjoy having an opportunity to spend time with other innkeepers, which as near as I can tell, would either drive some innkeepers crazy or is completely out of the question because of their work load. Nonetheless, we have done a few and it has worked out pretty good overall, but I can see where it just doesn't work for a some innkeepers to be offering a courtesy rate. As always, if you are ever in our area, there is some savings to be had. No names, but we did exactly that and visited some B&Bs on our way to Florida. Two were absolutely free with a promise to reciprocate should they come up to Canada, and the rest were a minimum of at least 25% off. Be it in high season, which most B&Bs cannot get away anyway, we would still honour a free room based on the fact that they are B&B owners. We are not that financially strapped that we may lose one or two nights revenue. We have to take care of our own - that being B&B owners. I have never asked for a discount nor would I expect one. Since I know that times can be lean and I'd be taking any income from them, I would not want the discount. I've had some wonderful innkeepers stay with us and none asked for a discount and I had not offered. Before they stayed here, I didn't know them. One set was the most wonderful couple escaping their place for a single night away. A few weeks later, I was in their area an hour away and I dropped in with a bottle of wine and surprised them -- I knew they'd love to sit on their porch and relax after working all day. That was my personal payback to these nice innkeepers. I've also had "innkeepers" who called to ask for a discount during peak foliage season who actually own a vacation rental home. Sorry, not the same thing! And as someone said no one gets a discount during peak season because the next month I'm basically empty and need that money. Our state association has a great innkeeper getaway program. Each property has their own rules about when it's ok to stay at their place. The rate is CHEAP. I do participate in that program but it's rarely used. We did not know the innkeepers or their inns prior to accepting the swap. NEVER again, unless we knew them well. Both visited here 1st so the reciprocal was for us to stay with them. Both times it was a headache arranging the stay and I felt they were trying to get out of it. The second one provided us with a GC only good for SIX MONTHS, it took me 2 months to get them to book a room for us. Open on their availability calendar yet 'closed' for the week etc. when we tried to book. I always selected a weeknight and off season. You can come see me any time. Your down season is good as far as I am concerned (summer is when things happen here). Thanks K. Would love to get up that way! I have a rate for members of my State Assoc = thank you. I also have a rate for innmates. Innkeepers I do not know I would give a discount as professional courtesy BUT I would need to know in advance and want the name of their inn so I can verify. Anyone can say they are innkeepers. I have had innkeepers I did not know and I did discount (I think I gave them the military rate). We always appreciate a discount from a fellow innkeeper but do not expect it. There are a couple of Bed and Breakfast inns where we regularly stay when visiting family or on vacation. The innkeepers are kind enough to offer us a 10% discount for the 4-5 nights we stay during their shoulder season. We have been loyal guests, staying upward of a dozen times in one location and half a dozen times in the other and we always write great reviews. But it is tricky when one set of innkeepers visits us as our rates are considerably higher than theirs. A 10% discount for their stay with us would still be quite expensive compared to the rate we pay when we stay with them. So... we give them our lowest rate (They get our dead-of-winter rate even if they come in the shoulder season) and our best accommodation. This amounts to a 33% discount and puts their rate at about what we pay when we stay with them. We never have to worry about them coming during high season since they are too busy working themselves. I ask in advance if the price is a bit higher than I would usually pay. Otherwise I pay the going rate. It's never been offered by anyone without me askin first. We have an innkeeping couple staying on a prime weekend, so adjusting the price for a one off is hard. Well give them a local gift instead. I would have to know them to get a discount. And a verifiable inn of approximately the same size. There are exceptions to every rule. Would I ask for it... nope. Heck, if I could figure out how to reserve anonymously with one or two innmates to surprise them when I arrive.... I might be more inclined to visit just for the shocked faces. Some innkeepers get the family and friends rate of 200% PLUS the normal rate! Would the type of inn dictate the swap or discount or lackthereof? ie if they owned a 15 room boutique inn w/staff, or a 2 guest room inn that shares part of their home? But then...maybe this is a forum innmate and they are inncognito and I have known them here for years, wow I just thought of that! It depends on whether I know them or not. In peak season, everyone pays full price. Room exchanges are good if it works for both properties. I would never expect to get a discount just because I'm an innkeeper. Sorry, if I don't know they from Adam...they are not getting a discount. I don't care if they are innkeepers. Heads in beds..pays the bills. On the other hand if you have a professional or personal connection, by all means offer a trade or a discount. I see no reason to discount just because they are innkeepers. If you come to stay with us and you would like to do a hospitality exchange, we would say yes. I think we would leave it to you to determine the comparable value and we would likely prefer to arrange it in advance. If you don't tell us until you arrive, it might not be possible to make an adjustment.